Cleanliness of your business directly relates to satisfaction of the services you provide. Whether it is a restaurant kitchen, spa and massage parlor, or simply interior of your store front. ​Improve outlook of your business and gain trust of your customers by keeping it spotless with our services. Steam cleaning allows to eliminate odors, get deep into hard to reach places as well prevent spread of bacteria and contamination. ​We will gladly perform these services for you or you can rent one of our commercial grade machines and do it yourself at your own pace. Specially for commercial customers, we have long term rental services. Please contact us for details and estimates. Clean doorways and salt stains – especially handy in winter when salt is everywhere, damaging the carpets and causing build up in the doorways. Children and pet toy cleaning for daycare and pet hotels – eliminate spread of germs and bacteria from toys to kids and pets by steam cleaning your inventory as well as play areas. Shared objects are primary distributor of illness and infections, don’t let it spread, steam it. 100% chemical free. 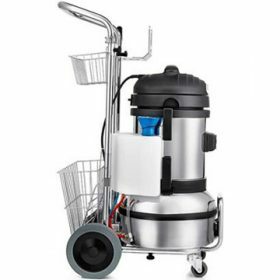 Clean and sanitize common areas – ideal and easy to use solution to sanitize and disinfect common areas such as walk-in clinic reception and wait areas, gym and tools equipment, tables, desks, floors, wheelchairs and more. Bathroom and shower cleaning – clean bathroom and showers are one of the main places that customers use to evaluate your business and level of service. Don’t let it ruin your rating – steam it. Whether it is gym shower, hotel room, air BNB, clean shower is a must have to fully satisfy even the most picky patrons. Commercial kitchen cleaning – clean kitchen = trust of your clients. Minimize chemical use and maximize cleaning results with use of pure water steam, eliminating odors, germs and bacteria. Degrease and disinfect cooking surfaces with ease. Gum and graffiti removal – take care of your floors by safely and quickly removing gums from carpets and hard floors. Even in a rare event of graffiti appearance, we got you covered with our machines.